Men undertake almost two-thirds of commutes lasting more than an hour, a new analysis from the Office for National Statistics shows. It also reveals that women tend to undertake shorter journeys to work, accounting for more than half (55 percent) of commutes lasting 15 minutes or less. But, for all people, commuting times are most likely to last 15 minutes or less and least likely to last more than an hour. The commuting gap can also be seen in the ways men and women travel to work. Men are more likely than women to commute by train – a possible mode of transport for long commutes – while women are more likely to walk or travel by bus. The car is the most equal and the most popular form of transport; it accounts for two-thirds of all commutes by both men and women respectively. Men are more likely than women to make commutes of over an hour in almost every country or region of the UK. 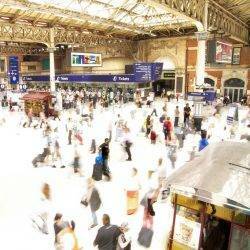 Among those who travel for more than an hour to work in London (where long commutes are commonplace), 61% are men. The greatest disparity is seen in the East of England, where 76% of long commutes are undertaken by men. As well as accounting for most commutes lasting more than an hour, men make the majority of commutes between regions. Around 9% of all commuters live in a different region to their place of work, and 65% of them are men. This trend is seen across the UK, particularly in Scotland where 77% of those commuting from elsewhere are men. 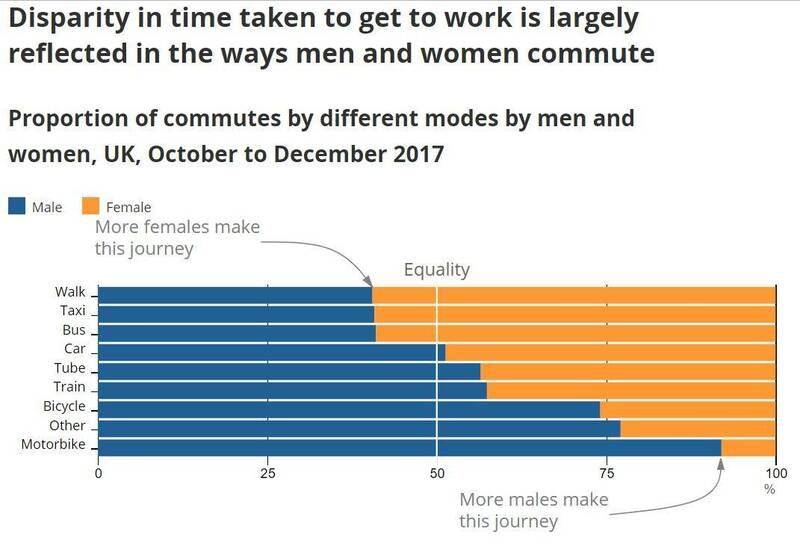 Apart from in London, women are more likely to have a short commute Women are more likely than men to commute for 15 minutes or less in every part of the UK except for London. The largest gap is among those working in the South East of England, where women account for 58% of short commutes. 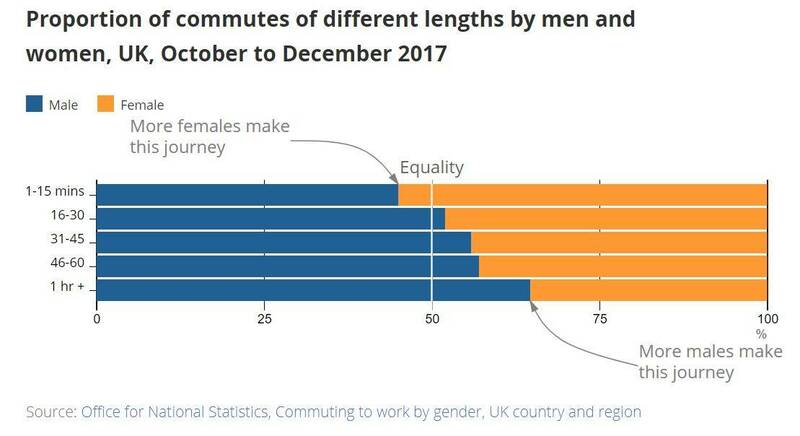 London – where short commutes are relatively rare – is the only region to see gender equality in terms of people travelling for 15 minutes or less to get to work. The number of people commuting for more than an hour to get to work has risen by 31% since 2011. Although men remain more likely to make commutes lasting more than an hour, this rise over time has been led by women. The number of women with long commutes is up by 39%, compared with a 27% rise for men. 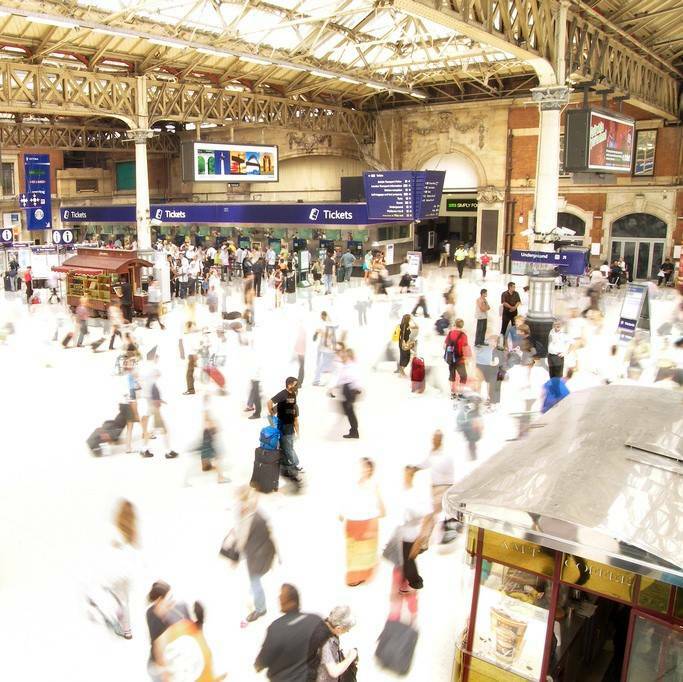 In particular, the number of women travelling for more than an hour to work in London has increased by 46% since 2011, accounting for more than half of the overall growth in long commutes for women. Previous research by the Trade Union Congress (TUC) suggested that growth in long commutes in sectors like education, and health and social care, where high numbers of women work, could explain this trend.